The Great Western Road, originally built in 1816 and widened in the 1970s, is Glasgow’s longest and straightest road, running about 3 miles, or just under 5 kilometres, to the northwest between St George’s Cross and Anniesland Cross. The road itself continues after Anniesland all the way to Inverness as the A82, Scotland’s second longest road at 167mi/269km. 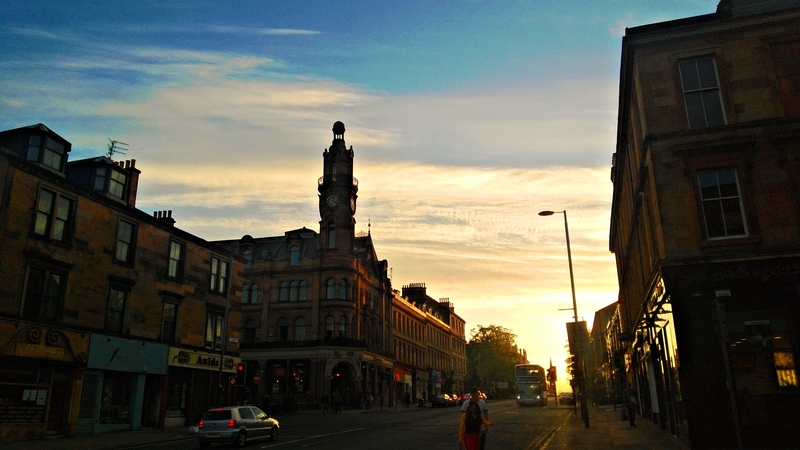 This entry was posted in 2013, Glasgow, May, Photos, Scotland and tagged 2013, 365 Photos, Glasgow, Great Western Road, May, May 2013, Scotland, Sunset. Bookmark the permalink.